We all know very well that RED is a recognized as a manufacturer in the field of professional photography and not in the business of smartphones. 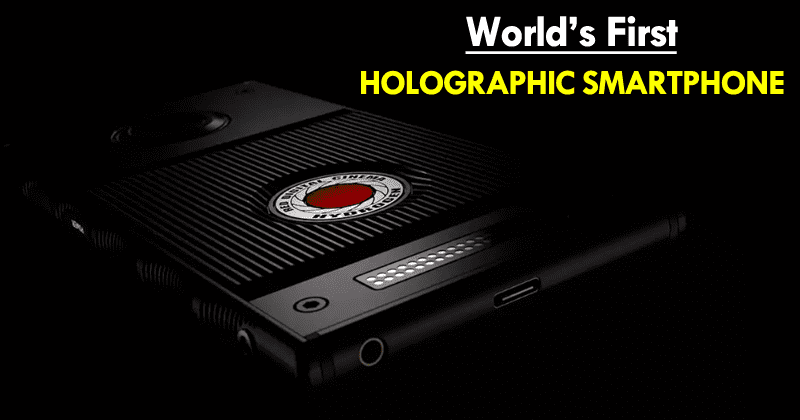 However, this company earlier announced that in early 2018 will launch the world’s first Holographic Smartphone has said that its Hydrogen One smartphone will get delayed. It’s been a while since we heard about Hydrogen One, the first smartphone from the camera maker RED. Its launch was scheduled for the first quarter of 2018, but now it’s already May. Jim Jannard, the founder of RED, explains in a post on the company forum that the launch was postponed to August for two main reasons. takes longer than we thought.” After all, most Americans buy smartphones at AT&T, Verizon and the like, not in retail. The RED wants to do a simultaneous launch in all of them, and this “proved to be quite complicated. Secondly, Hydrogen One received some improvements during development, which required extra time. It features a holographic display with 3D effects visible to the naked eye. Jannard says that initially, the handset would require an additional module up to $1,000 to record holographic videos. So, a few months ago, RED added 3D cameras on the front and rear of Hydrogen One, allowing you to convert your videos to a holographic format called H4V (Hydrogen 4-View). You will no longer need to use a module. However, processing was done “very slowly” on the smartphone, working better in the cloud or on your personal computer. Now, “with a lot of hardware and software work,” it is possible to record H4V videos in real time. This caused much of the delay. We have no idea what we are doing. We never created a smartphone. No one has ever tried to integrate a holographic screen into anything before. When we started this project, we did not know any cell phone operator or anything about the industry. When we launch the product will not be complete. There will be more firmware/software updates than any other cell phone ever made. We are learning as we do. RED will showcase more Hydrogen One prototypes at an event on May 19. We still do not know basic specs like processor, RAM or camera. Even so, Hydrogen One has been in pre-sales for several months. The “Aluminum” version cost $1,195, and the “Titanium” version was priced at $1,595. The pre-sale has been closed, and the amounts are refundable.